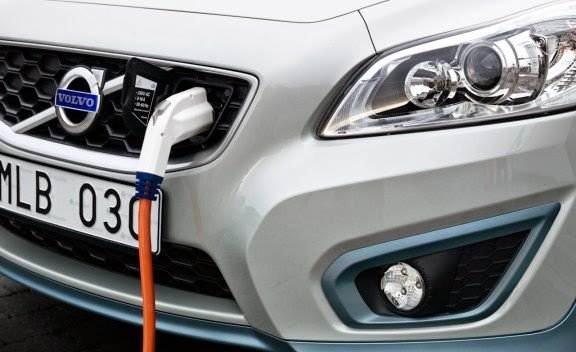 It’s probably clear from technology pathway, that we are heading towards an ultimate goal of us all driving fully electrical vehicles, fuelled by electricity from carbon free generation – probably generated mostly from nuclear power. Although, it’s not that long ago since we were all rejecting Nuclear power due to the associated problems of disposal of nuclear waste and risks of contamination. Oh well – what goes around comes around! Nevertheless, this seems to be the direction all the manufacturers are heading for, It’s been proven that electric cars can have the performance and driveability that modern drivers need. If the driving range can be extended and the fuelling infrastructure issue solved, then we’re nearly there. However these two points are massive technological barriers at the moment! Battery capacity is currently limited by physics. Until the next major development step in battery chemistry, range will be limited and driver range anxiety will be a major issue to overcome. Even if battery capacity and range can be extended, the fuelling issue remains a problem for full electric vehicles. If you think about it, your current vehicle carries a store of energy in the chemistry of the fuel compounds. In a few minutes you can refill the car with a massive amount of energy, enough to propel the car for hundreds of miles. Assuming that you had a battery powered vehicle that could store enough electrical energy for the same distance, the power cables and electrical infrastructure needed to fully charge the battery from empty, in the same few minutes, would be impractical. The cables would have to be so large in cross section they would be impossible to lift. The current needed would be massive, requiring a very expensive system of cables, switchgear and transformers that would not be feasible in use. Of course, these technical hurdles will be overcome in due course, however the main impact for the immediate future is that, in combination with other technologies for low carbon, liquid fuel and combustion engines remain the most practical source of power for personal transport. Mainly due to the ease of storage of large amounts of energy in chemical form. In addition, the existing distribution network already in place in the form of liquid fuel stations and garages supplying fuel in this form to storage on-board vehicles. 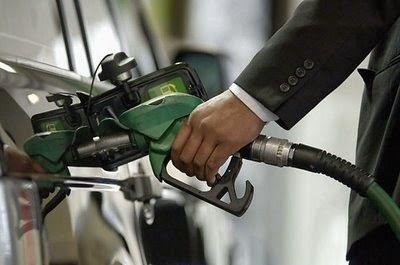 The most important property of petrol is it’s resistance to Auto-ignition, that is - the anti-knock quality of the fuel. This is characterised by the fuels octane rating - the higher the octane rating the better the fuels resistance to auto-ignition. There are 2 procedures used to determine this property, the Research method (giving the RON - Research Octane Number) and the Motor method (giving the MON - Motor Octane Number). The method of determining the octane rating of a fuel involves the use of a special, research test engine for octane rating - known as a CFR engine (Collaborative Fuel Research). This engine is a single cylinder, variable compression engine. The test fuel is run in this engine, the compression ratio is altered to give a standard level of knock intensity. This condition is then repeated with reference fuels that contain a mixture of iso-octane and heptane in various proportions. Iso-octane has the highest resistance to auto-ignition and is rated with an octane rating of 100, heptane is rated at zero. By measuring the test fuel for it’s anti-knock property in the CFR engine, this is then compared in the engine to a reference blend of fuel that matches it for anti-knock performance. The ratio of iso-octane to heptane in the reference blend that matches the anti-knock quality of the test fuel defines the octane number i.e. an octane rating of 97 means the fuel has the same octane behaviour in the CFR engine as a blend of 97 % iso-octane and 3% n-heptane when tested. The RON and MON ratings are different because they are determined under different operating conditions of the test engine. During RON measurements the engine is running at 600 rpm, oil temperature 57°C, coolant temperature 100°C and the inlet air temperature set at 52°C. MON is measured at an engine speed 900 rpm, oil temperature 57°C, coolant temperature 100°C and the intake mixture temperature set at 149°C. This method also uses variable ignition timing. The result is that the MON method places greater demand on the fuel under test due to higher temperatures and heat, such that MON figures are generally lower than RON values. Note that the octane rating of a fuel has no bearing on the chemical energy value contained in the fuel. It is only a measure of the fuel's tendency to burn in a controlled manner, rather than exploding in an uncontrolled manner causing knock. The second most important property for petrol is it’s volatility - that is, how easily does it evaporate and how much heat energy does it need to do this. The reason is that the fuel needs to vaporise easily enough at low temperatures to ensure good mixture formation. But it should not so volatile as to vaporise in the fuel lines at higher temperatures as this would cause hot starting problems. The international standards for fuel properties define a number of parameters to express the fuels volatility, including boiling curve, vapour pressure and vapour lock index. Petrol can contain other chemical elements, added for various reasons, and these are generally controlled and regulated - these include Sulphur, Lead, Aromatics, Oxygenates and other metallic components. Many fuel suppliers will include various additives in the fuel to improve aspects of engine performance, for example via friction reducing additives, or contamination/deposit removing chemicals (detergents). Corrosion inhibitors and anti-aging additives are common in most petrol fuels. The most important property for diesel fuel is how easily the fuel will auto-ignite and this is expressed as a number known as the Cetane rating. This is a the complete opposite to petrol fuel and the Octane rating and, in fact, the Octane and Cetane rating of a given, distilled fuel have an opposing relationship (i.e. 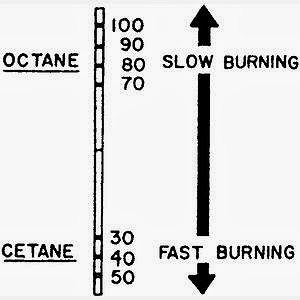 low cetane = high octane etc.). The importance of this auto-ignition quality is that fuels with number which have shorter ignition delays provide more time for the fuel combustion process to be completed. Hence, higher speed diesels operate more effectively with higher cetane number fuels and cold starting is easier. In addition, with long ignition delays (ignition delay is the time between start of injection and start of combustion) diesel knock occurs due to the fact that more fuel can be injected into the cylinder before combustion starts, so that when combustion does occur, the greater fuel mass creates a greater pressure rise due to the combustion being too rapid. This creates the characteristic diesel knock noise and associated stresses on engine components. This ignition delay property is expressed by the Cetane rating and this is derived in a CFR test engine with a similar procedure to the Octane rating. Under standard operating conditions, the engine compression ratio is adjusted to give a defined ignition delay period. Then, reference fuels, consisting of hexadecane (cetane) and isocetane (given cetane ratings of 100 and 0 respectively) in various proportions are run in the engine until the matching blend is found, the quantity of hexadecane in that blend then defines the cetane rating (65% hexadecane gives a 65 cetane rating). A cetane number in the range of 40-50 is typical, and greater than 50 is optimum for modern diesel engines. Another performance metric relating to ignition quality is the Cetane index - this is a calculated value based on the viscosity and density of the fuel, so no test engine is needed for this figure, however it is only accurate for fuel without additives. The lubricating property of diesel fuel is important to maintain the correct operation of the fuel injection equipment normally used, the fuel directly circulates in the equipment to provide cooling and lubrication. 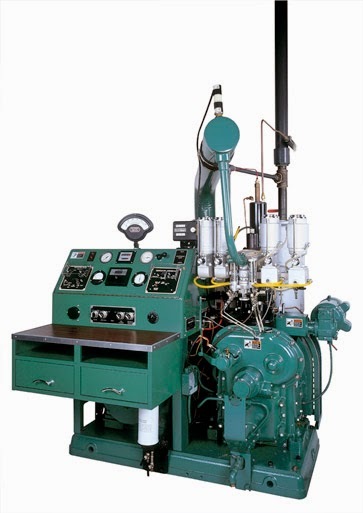 The lubricating property of the fuel is defined in the European standard (EN590) and is measured using a special high-frequency test rig. Cold flow property is also an essential consideration for diesel fuel, the precipitation of wax crystals at low temperatures causes blockages in the fuel system and generally, diesel fuel in the winter period is charged with additives to prevent this happening. This property is defined as the CFPP or Cold Filter Plugging Point (also defined in the EN590 standard). Figure 6 - Waxed Diesel! Viscosity is important to ensure that the fuel moves freely through the injection system, particularly at lower temperatures, in addition, the viscosity can affect the injector spray pattern and fuel/air mixing in the combustion chamber. Diesel engines are also particularly sensitive to fuel density, slight changes in density (even due to operational temperature change) can massively affect the mass of fuel quantity injected per stroke, which in turn, has a dramatic effect on the actual engine power output (as the diesel engine power output is directly controlled via the injected fuel quantity). Enhancers to improve the lubricity and cetane rating are common. As are detergents to inhibit the formation of deposits on injectors. Anti-foaming additives are incorporated to reduce excessive foaming, thus allowing optimum (reduced) re-fuelling times. Sulphur occurs in diesel fuels, and this is chemically removed in the refining process in order to meet European limits. This is challenging for the producers of fuel as reduced Sulphur results in reduced Lubricity, however, this is offset in modern diesel fuels with the use of lubricating additives. Thanks for this article good information. 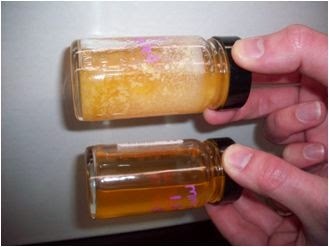 Whats your input on biological contamination of diesel fuel. I have heard that its a growing problem thanks to the use of more RME in the fuel.